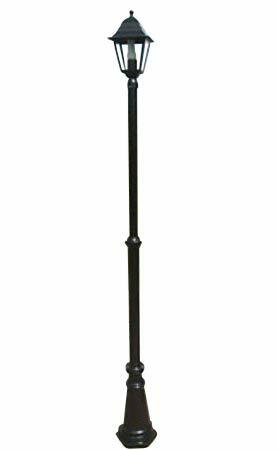 We are happy to stock the famous Garden Lighting - Victorian Style Single Headed Garden Lamp Post 2.2m. With so many available right now, it is great to have a name you can trust. The Garden Lighting - Victorian Style Single Headed Garden Lamp Post 2.2m is certainly that and will be a excellent acquisition. 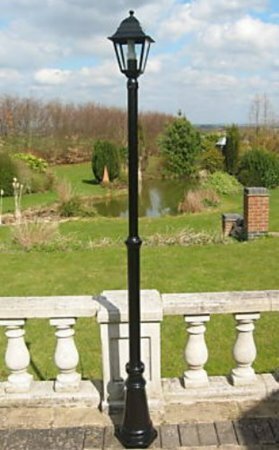 For this reduced price, the Garden Lighting - Victorian Style Single Headed Garden Lamp Post 2.2m is highly respected and is a regular choice for many people. Olive Grove have provided some great touches and this results in great value. These heavy duty victorian style single headed garden lamp posts are made from powder coated aluminium with bright steel fittings so will not rust. They are supplied in sections specially packed individually in cardboard boxes, and take about 20 minutes to assemble. Instructions and all tools required are supplied. Foundation bolts are also supplied for fixing to the ground. They are simple to wire up, no specialist electrician required. The lamp is 2.2m tall. The lamps have 3mm glass panes and each lamp has four sides. The electrical cable is not supplied as this needs to be the correct length to go from the light to the power source, which to us is of course unknown. We do not recommend having cable connectors underground or outside which may be needed if we were just to supply a short cable with the lamp. The lamps are waterproof, conform to IP44 and are CE approved. Each light takes any standard screw fit bulbs up to 100 watts (not supplied). The diameter of the base at its widest point is 20cm. Double and Triple headed lamps, wall lights and post top lamps also available.